Crowns are used to cover a tooth that is likely to break, or is too broken down to be restored with just a filling or onlay. Porcelain or gold crowns are most often placed after root canal treatment, or when a large filling wears out, breaks or a cusp fractures. Crowns help to prevent fractures, and can cosmetically enhance your smile at the same time that it provides protection. Bridges are crowns that are connected together. Most often they are used to replace a missing tooth, when there is a tooth on either side of the space, where the tooth is missing. Basically they bridge the gap. They can also be used to connect several teeth in a row, when additional reinforcement is needed. They can be made of gold, porcelain or a combination of gold and porcelain. Nowadays, dental implants are frequently the procedure of choice, since there is less tooth reduction. If you would like to learn more about implants, please contact winning smiles in blacktown at 0296 22 33 33. We look forward to speaking with you. 3D CAD/CAM complete dentures. WE are proud to announce as one of the first DENTAL SURGERY in Australia to introduce the new breakthrough in complete upper and lower dentures by introducing first 3D CAD/CAM Digital dentures. We offer 3D denture revolution at our surgery and deliver “BEST OF CLASS” quality and retentive dentures In just 2 VISITS. Dental implants are a great way to replace missing teeth rather than having a removable partial or bridge. Dental implants are basically artificial roots (usually titanium) that are surgically placed in the area of the missing tooth, and then restored with an implant crown. Dental implants are very strong, durable, and stable and will last for many years. 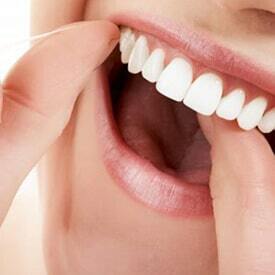 It is the treatment of an inflamed or dying tooth. Inside your teeth, you have a series of nerves and arteries that hydrate your teeth, bring the cells the nutrients they need, and give your teeth the ability to detect temperature changes and monitor your chewing force. When a tooth is traumatized either by an accident, decay or an active infection, the tooth responds by becoming inflamed or infected. This makes the tooth very sensitive. HOW DOES A TOOTH BECOME INFECTED? At first, the tooth may be sensitive to cold, sometimes even heat, and as it worsens, the tooth becomes sensitive to biting down. Usually at this point it means that the inflammation and infection from the bacteria present in the mouth, has gone down through the root canals, exiting at the end of the root of the tooth. This makes the surrounding area very tender and sore to biting pressure, especially at the end of the root. Sometimes the infection is very aggressive and can cause the person’s face, or worse the neck to become swollen. This is a true dental emergency and should be treated with antibiotics and root canal therapy without delay. 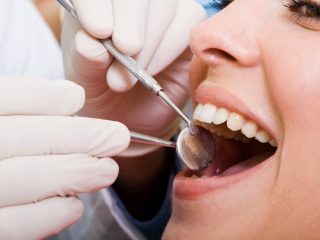 HOW IS A ROOT CANAL TREATED? The process of endodontic, root canal therapy removes the old, dying nerve, sterilizes the inside of the tooth. It is then filled with a rubbery material (gutta percha) that seals it off from the surrounding tissues. This procedure is done in the office, while you are under local anesthesia, or sedated if necessary. The procedure, itself does not hurt, it is the toothache, before treatment that you hear about that hurts. By administering adequate anesthesia, most people are relieved of the pain they had been experiencing prior to the treatment. It is a welcomed relief. In the majority of cases, many people don’t need anything more than an Advil after treatment. All teeth that have had root canal therapy need to have what is called a composite core build-up and a crown. Statistics show that when people delay in having the crown placed, after having a root canal, they will lose their tooth within 3-5 years. Ideally the crown should be prepared within the first 2-4 weeks after endodontic treatment, to avoid potential fracture. Our goal is to preserve your teeth for as long as possible.